Find your dream Dodge car today at Carsnip. We’ve got over 232 used Dodge vehicles available, and our intuitive search system means that you can make the best decision in the easiest way. We’ve made buying your next car easy. Browse over 232 vehicles below. The American brand Dodge is best known for its muscle cars such as the Challenger and Viper, which remain iconic. However, the brand launched in the UK in 2009 with a slightly more diverse offering. 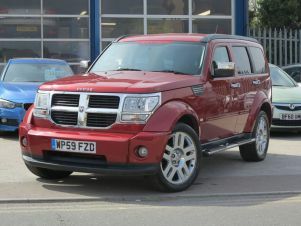 Whilst the huge Ram pickup truck, like Dodge’s muscle cars, screams American muscle and power, there’s also the Caliber and Journey on offer which are more sensible choices. The Caliber’s a crossover family car which proves a spacious vehicle with a strong Volkswagen engine. 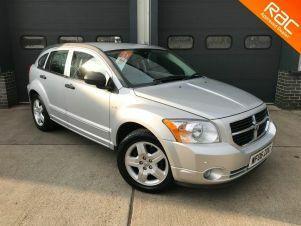 The Dodge Journey might not be the first car that springs to mind when you’re considering a seven seater people carrier, but it’s immensely spacious and because of its relative anonymity in the UK, it’s available for great prices on the used market.